In an effort to "tighten control of its virtual worlds," China has barred foreigners from investing money into its exploding online gaming industry. 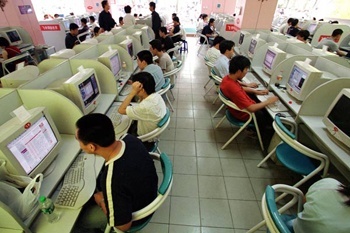 The world's economy may be in the crapper, but there's at least one market that has been seeing explosive growth: Sales made in China's online gaming industry are expected to swell a staggering 30-50%, "to 24 billion yuan to 27 billion yuan ($3.5-4 billion)" according to the Chinese General Administration of Press and Publication (GAPP). Naturally, it would be outright foolish for non-Chinese makers of online games to completely neglect such a growing and potential valuable market - which is precisely what the Chinese government is afraid of. That very same GAPP, described by Reuters as a "video game industry regulator ... and copyright watchdog," issued a notice on Sunday that would prohibit "foreign investment in domestic online gaming operations through joint ventures, wholly owned enterprises and cooperatives." The plan would further bar foreign individuals and companies from attempting to indirectly influence Chinese online gaming developers by providing technological assistance. While it's unclear what affect - if any - this would have on games like the megapopular World of Warcraft which are developed by Western companies but operated by Chinese ones that take a cut of the revenue, it's hard to imagine this as anything but a headache for foreign developers looking to make inroads to the growing Chinese gaming scene. It's interesting to ponder exactly what sort of control the GAPP is worried about losing - is it worried about losing financial control over the markets, sending millions of RMB overseas? Or is it worried that foreign companies could influence the games to propagate "non-Chinese" ideology?